Adult Forum sessions are held Sunday mornings before worship. They are informative, inspirational, as well as fun. With leaders from our own congregation as well as occasional guests from community, educational, and political agencies and organizations, we explore topics that range from difficult questions of faith in our own lives, to local and national social concerns, and to international missions. We offer Nursery care for our youngest every Sunday. 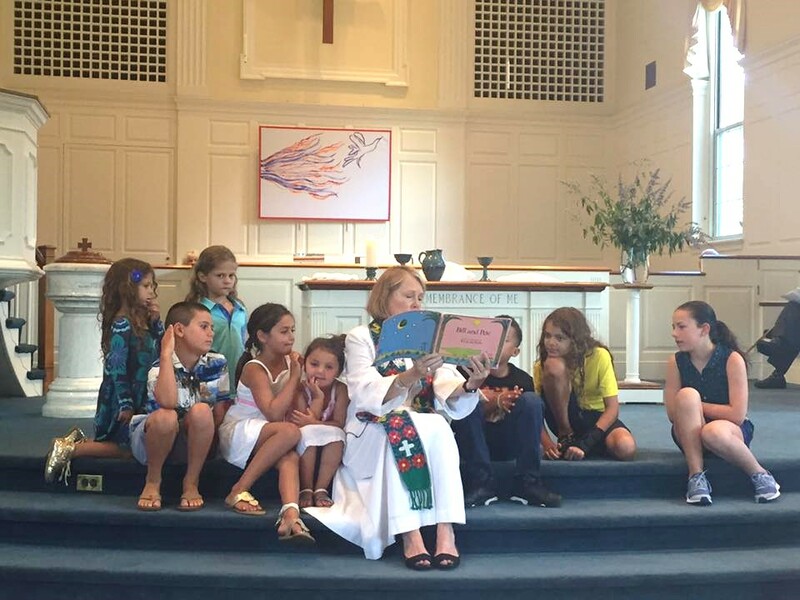 Children attend the first part of the worship service in the sanctuary, but retire to Sunday School following the Pastor’s Moment for Children. Sunday School is conducted in an atmosphere of fun and warmth so that children learn the ways of faith and the church through age-appropriate activities, music, and crafts. Children regularly participate and help lead worship services. Rev. Burns leads a weekly Bible Study on Wednesday mornings at 11:00 a.m. during which the scripture lessons for the coming week are examined. This is a thought-provoking and lively time of collective exploration of the Word and its implications for us.